Reddit Pulse is a website that uses sentiment analysis of comments to determine the "pulse" of a particular community (a "subreddit") over time. 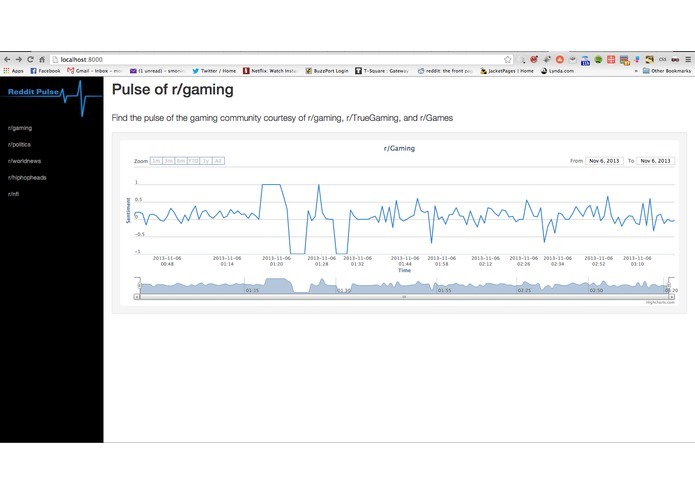 Using Reddit Pulse, users can see the reaction of thousands of redditors to real time events in communities such as gaming, hip hop, NFL, and more! Users can also find the pulse of the community by searching for a particular keyword.